The Missoni family has a knack for evoking a stylish life that feels timeless and deeply rooted in the Italian way of life. The brand may be most well known for its iconic colorful zig-zag patterns—which have been adorning everything from dresses to beach towels since the1970s—but we're willing to bet the brand and family will now be known for something else entirely: the art of cooking and entertaining effortlessly with panache. 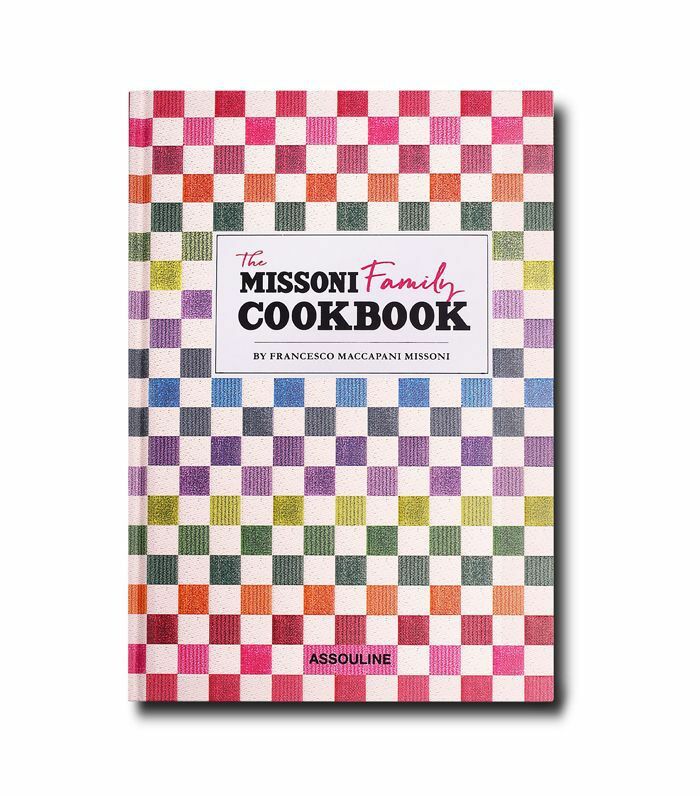 This month, Francesco Maccapani Missoni, the son of designer Angela Missoni, releases The Missoni Family Cookbook on Assouline, a collection of his parents' and grandparents' favorite recipes. For the first time, the Missoni culinary traditions and well-guarded family recipes are available to everyone. If you ask us, they are the ideal recipes to make for a simple but delicious and elegant alfresco spring lunch: Think fresh salads, mouthwatering pasta, and simple desserts that are assembled in minutes. Want to entertain like an illustrious fashion family? Start with these deceptively simple (and delicious) recipes. Drain and individually plate the asparagus, counting 5 stalks per person. Generously cover the lower half of the asparagus with the Parmigiano-Reggiano. In a small pan over medium heat, melt 5 tablespoons of the butter until very hot. Pour it over the Parmigiano-Reggiano and asparagus, melting the cheese. In a pan over medium-high heat, melt the remaining butter. As soon as the butter starts bubbling, add the eggs in batches, taking care not to crowd them, and fry them. Repeat until all of the eggs have been fried. Remove from the heat. Place the cooked eggs on top of the asparagus, season with sea salt and black pepper, and serve hot. Wash the fennel and chop off and discard the leaves and top branches, keeping the bulbs. Cut the bulbs in half widthwise, then into strands lengthwise. Place the orange segments in a bowl and squeeze the juice from the leftover orange membranes over them. In a food processor fitted with the "S" blade, chop the spinach until it achieves a superfine consistency. Add the ricotta, the egg yolks, the 4 ounces of the flour, and the nutmeg; season with sea salt and white pepper. And now, the best vegetarian cookbooks to upgrade your meat-free meals.